A large zipper pouch made from sturdy 100% cotton is perfect for storing drawing supplies, small accessories, travel essentials and more. A metallic zipper keeps contents secure, while a grommet tab adds convenience. 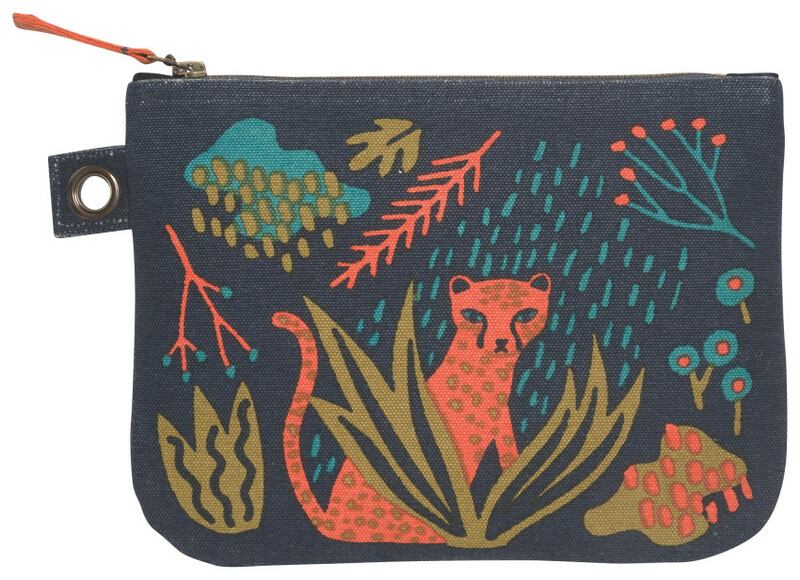 A fierce cheetah prowls through lush foliage, while flora and fauna are defined by paper cut-out shapes in bold colors.